Head injuries are devastating and can lead to memory loss, loss of cognitive function, mobility issues, personality changes, and other trauma. In addition, head injuries can also be insidious. Some people walk away from a car crash assuming they have no injuries only to collapse later because they have an undetected brain injury not caught in time. If you’re in a car accident and there is any chance you may have hit your head – even if you don’t remember the impact – or if you have a headache, vision problems, dizziness, or any sign of a head injury, it is important to consult with a doctor and to get a full evaluation to rule out the possibility of injury. Car accident can easily lead to back injuries, especially if a passenger is not wearing their seatbelt. Slipped discs, severed spinal columns, and other back injuries can easily occur if a passenger is ejected from the car and lands on concrete during a crash. Lower back injuries can also occur if a passenger is strapped in with the seat belt and is snapped forward and back in their seats during a high speed collision. The safest way to avoid back injuries in a car accident is to wear a seatbelt properly. Adjust your seat belt so that it does not cut into your neck and so that it provides good support without too much slack. Look at your car owner’s manual to determine exactly how to adjust your seatbelt for maximum comfort and safety. Soft tissue injuries, such as sprains and whiplash – happen because of the sharp movements that occur during a car accident. Soft tissue injuries can cause severe pain and mobility issues. Usually an MRI or other imaging tests are needed to properly diagnose a soft tissue injury. 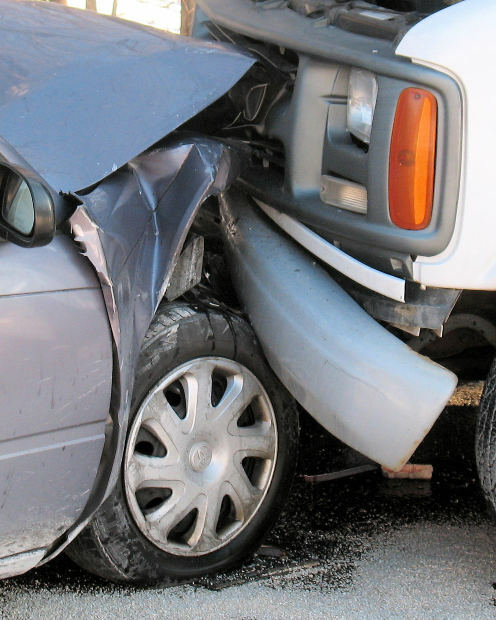 Broken bones and crushed limbs can easily occur in a car accident, especially in a more severe collision. Crushing injuries are especially common in mini vehicles and vehicles where there isn’t enough of a crumple zone. 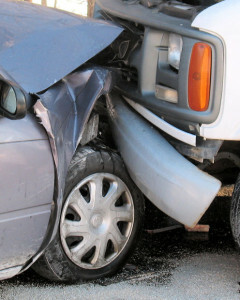 Parts of the car may crash into passengers in a way that crushes their hands, legs, or other parts of their body. Crushing injuries tend to be more common in truck accidents, where the larger vehicle may simply crush part of the passenger car – including any passengers inside. If you have sustained any serious injuries in a car or truck accident in Hollywood or anywhere in South Florida, contact Flaxman Law Group for a free consultation. Our attorneys have more than six decades of experience and will be pleased to review your situation with you.